Looking for inspiration for your next vacation? 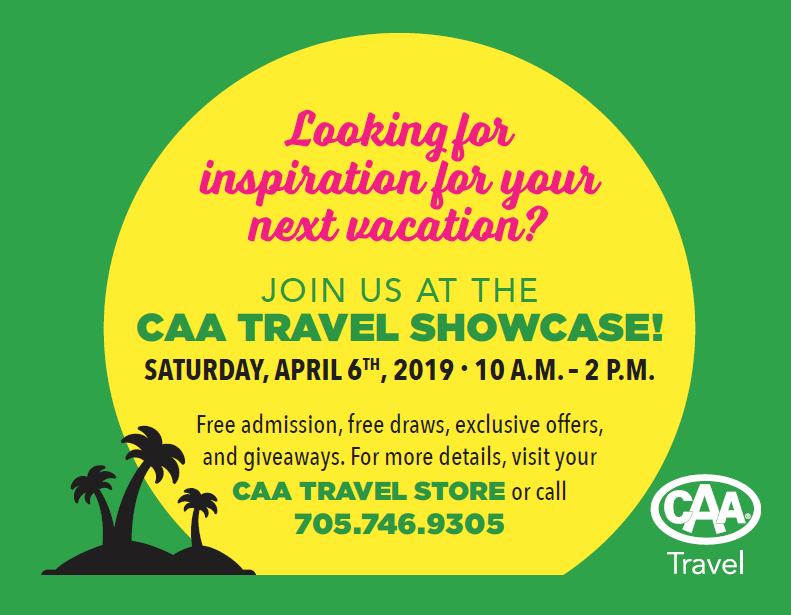 Join us at the CAA Travel Showcase! Free admission, free draws, exclusive offers, and giveaways. For more details, visit your CAA Travel Store or call 705-746-9305.